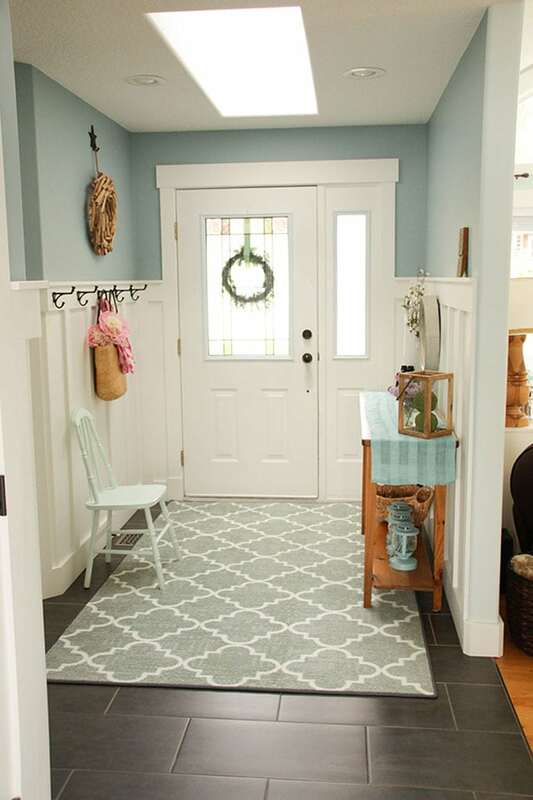 As we embark on our home improvement projects,the very first things we are exploring are, naturally, DIY entryway ideas! It is especially inspiring to see a dramatic before after transformation. 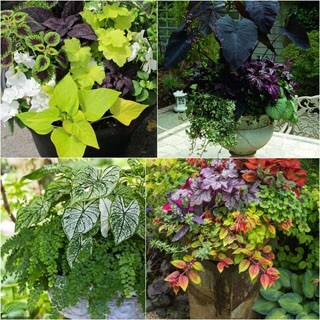 There are so much to learn when we see how much a space become more beautiful and functional when some smart choice are made! 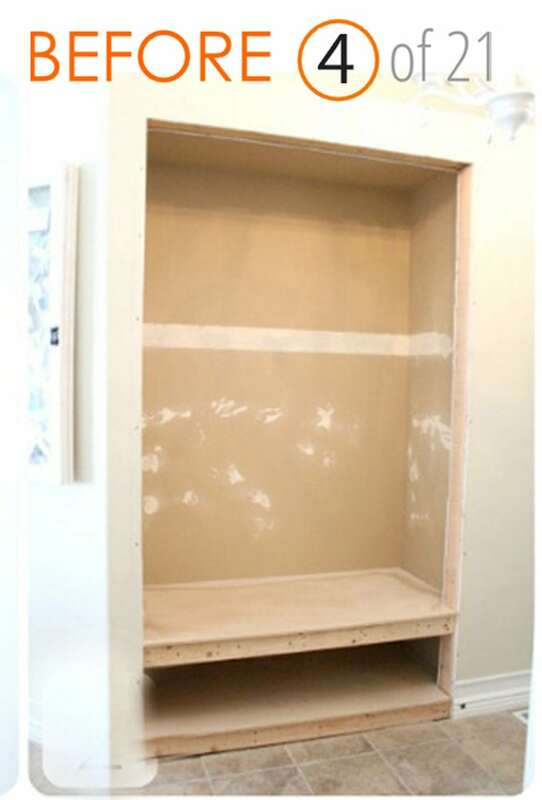 Through these amazing DIY entryway ideas we will explore many tips and tricks such as built-in and free standing entryway furniture, easy and attractive storage solutions for small entryways, multi-functional bench seats, and more! 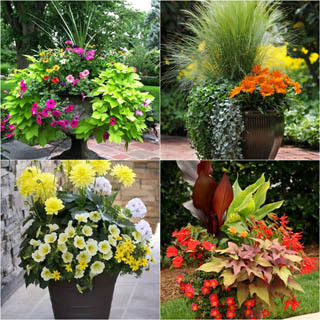 Let’s start envisioning all the possibilities to make our own entryway a happy and welcoming place to be! 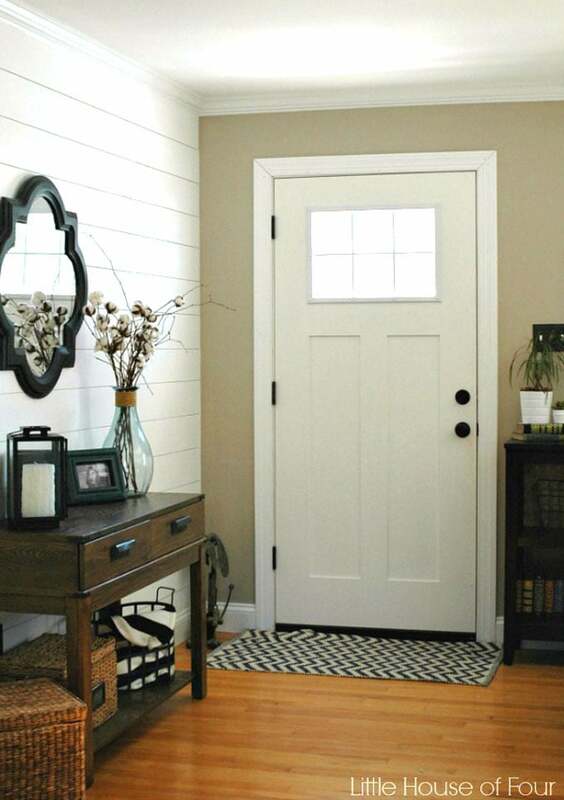 The first group of our DIY entryway ideas are easy-to-install wood paneling. “Board and Batten” is a type of wainscoting with elegant, clean lines which are often used in farmhouse or Shaker style home designs. 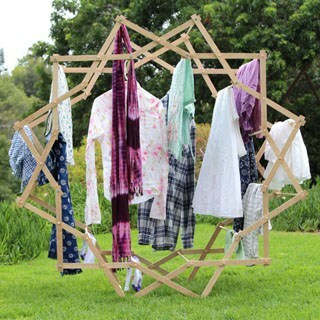 They add rich details and a place to attach hooks for hanging jackets and other items. 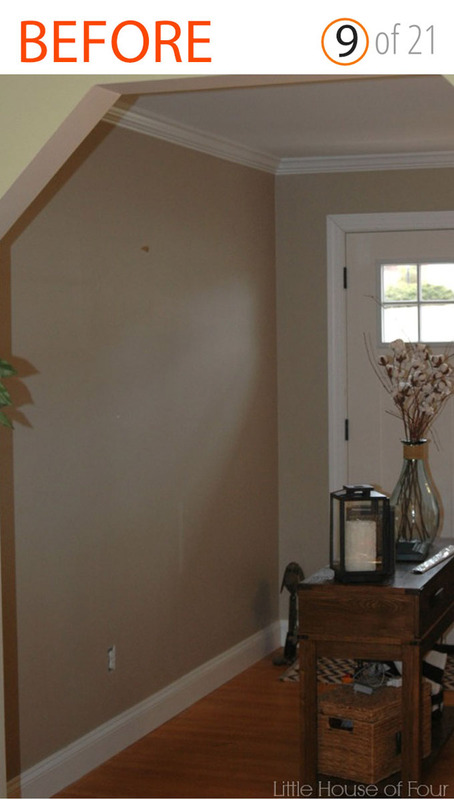 Paint colors are also an important factor. 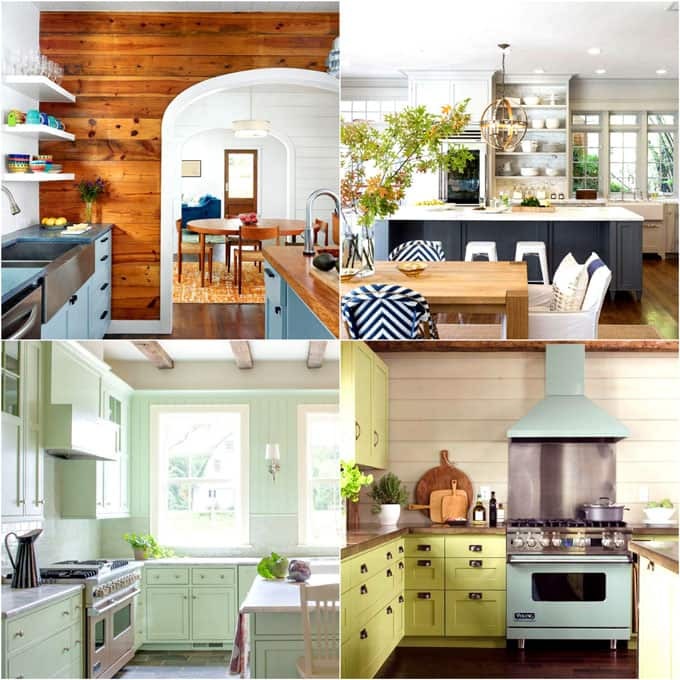 Here are some beautiful paint colors (with names for each!) 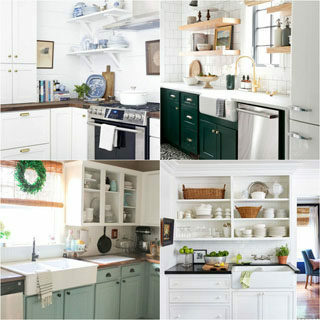 : 25 gorgeous kitchen cabinet paint colors to steal! 3 . 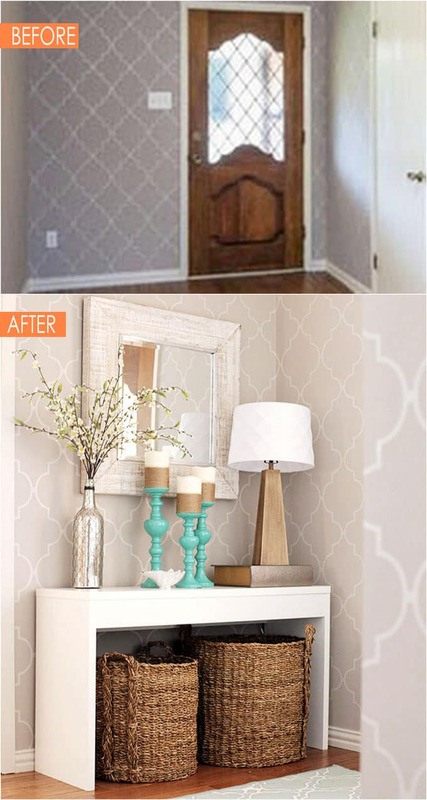 Dress up a blank wall with beautiful entryway furniture. Even simple entryway furniture such as a console table can become a focal point. Add a mirror and a lamp to complete the vignette. It is now an attractive and welcoming space. 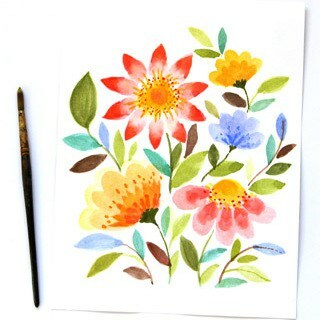 Tutorial at Creatively Living Blog. 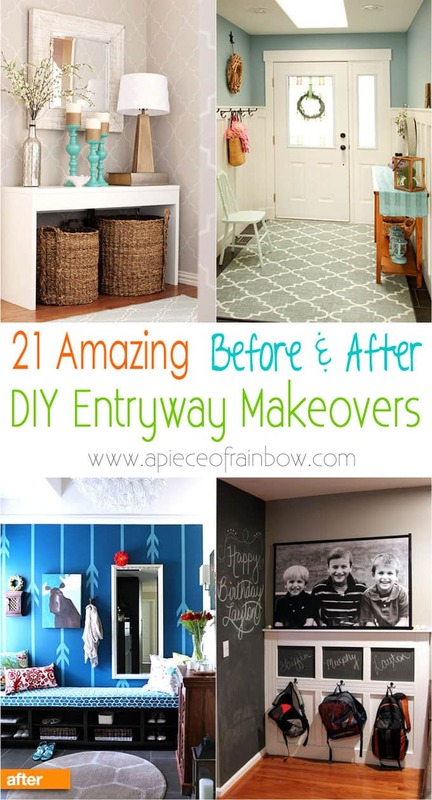 Some of the best DIY entryway ideas are closet makeovers. 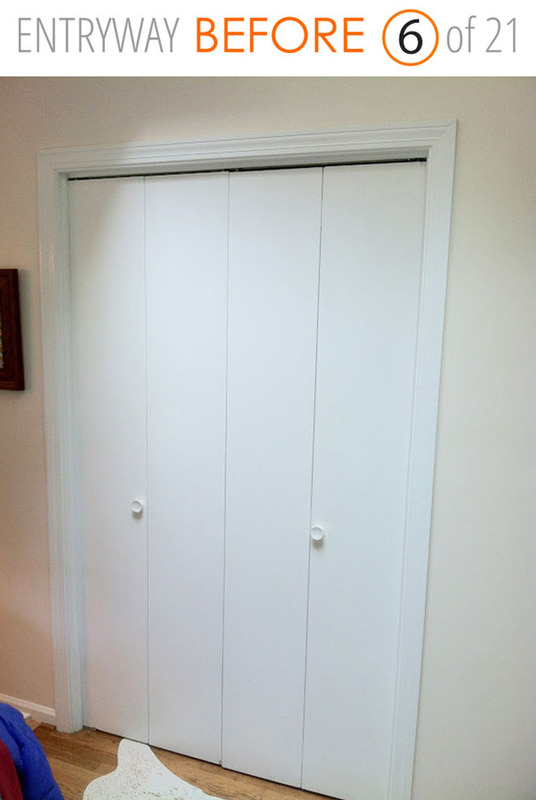 It turns out that a closet is not just to hide the messy stuff. 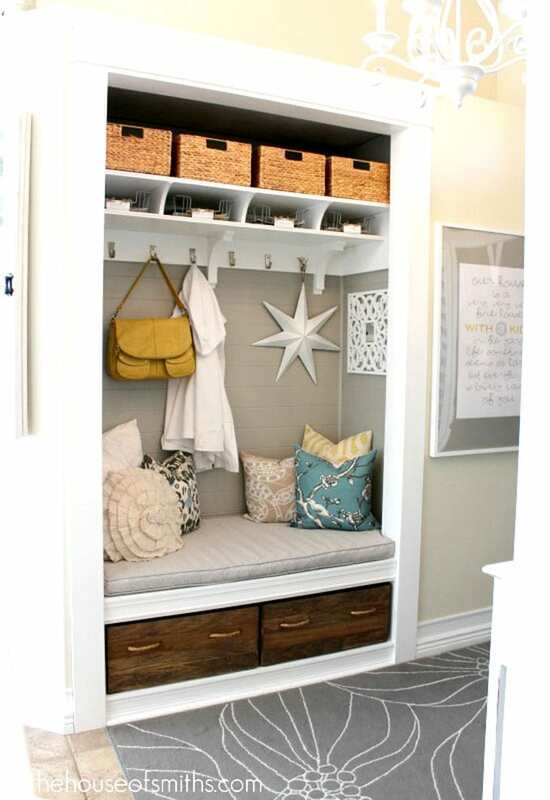 It can be a beautiful space that also provides storage. 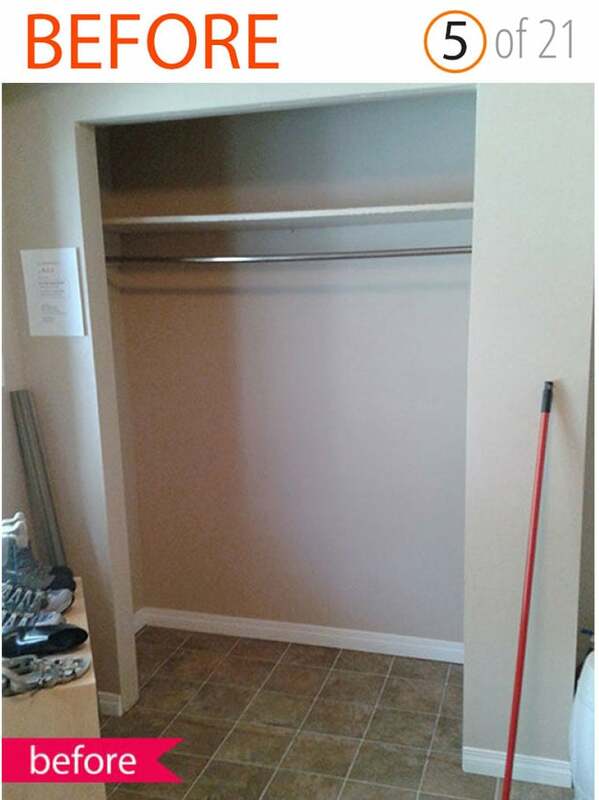 Below are two more entryway storage closet before and afters. 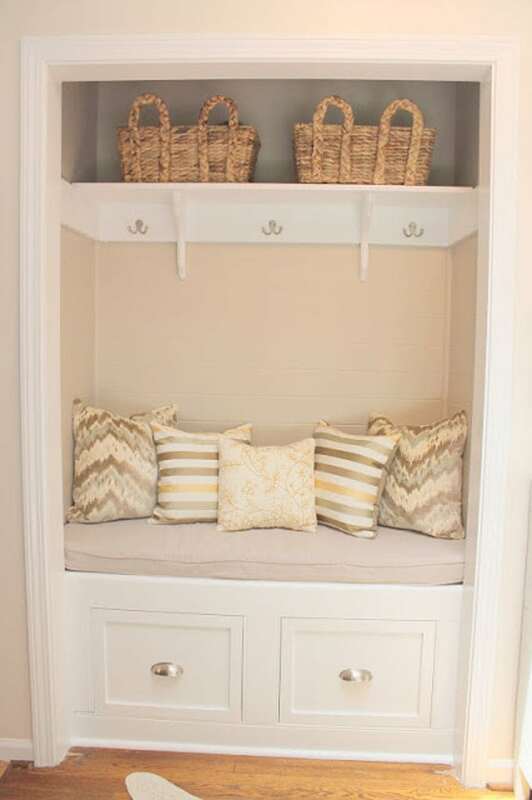 You can see variations of entryway bench seat and great ideas for small entryway storage. Simple entryway furniture from places like IKEA can be beautifully styled with colors, textures, and unique objects from your life. 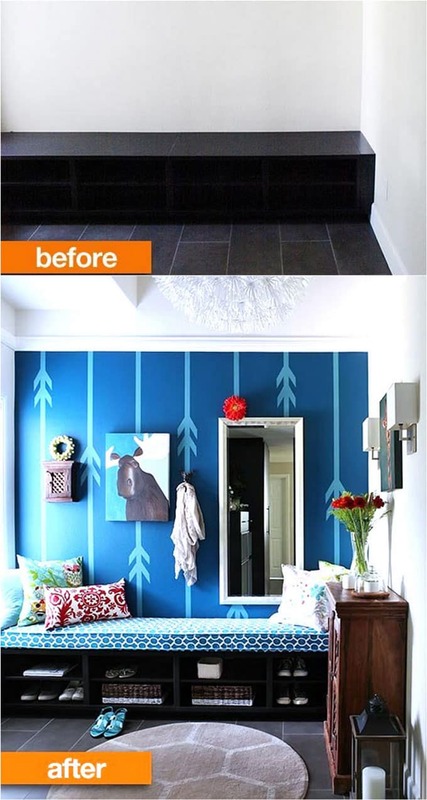 This is a great way to easily create a fresh new look without any remodeling. 9 . Can you see why everyone loves shiplap wall? 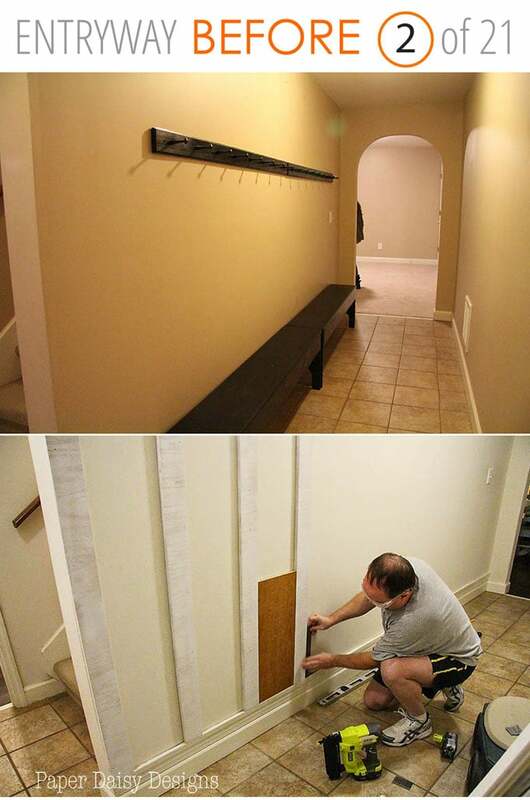 This stunning DIY entryway is so perfect with the horizontal wood plank wall, the console table and the unique mirror! 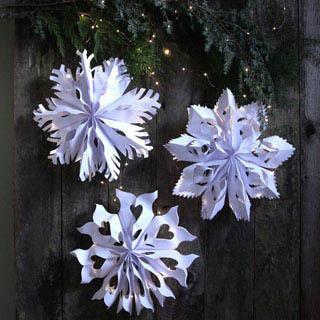 You will also find Katie at Little House of Four decorating this entryway beautifully through the seasons. 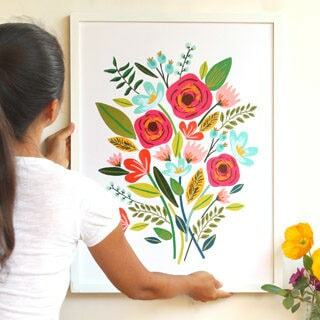 Thanks for featuring my hallway art in your round up. It is one of my favorites! I love all these renovations! 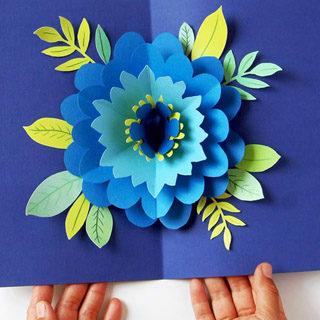 I’m not creative at all, so I can’t ever picture before and afters like this. 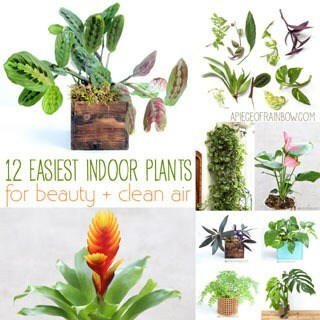 These pictures give me some great ideas! 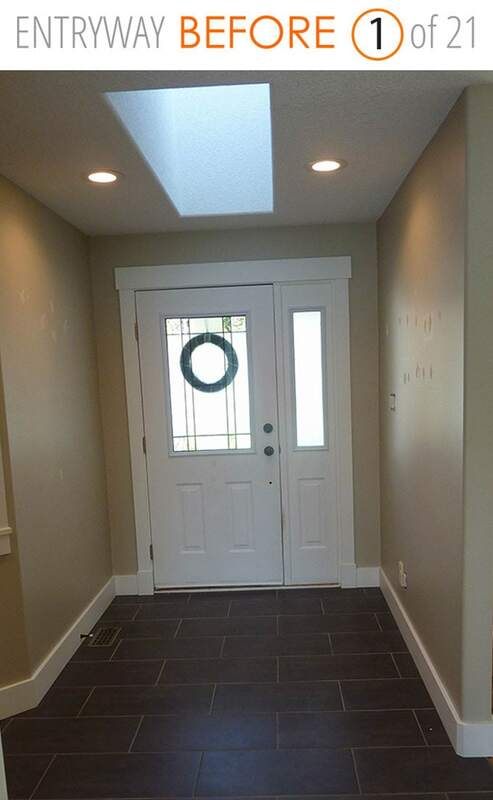 DREAMING of having an entry way… My house is super tiny, so the front door just opens into the living room, but these all look SO amazing! Want! 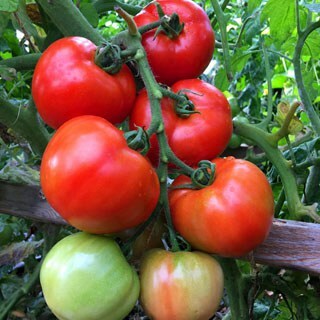 Oh that first one is drool worthy! 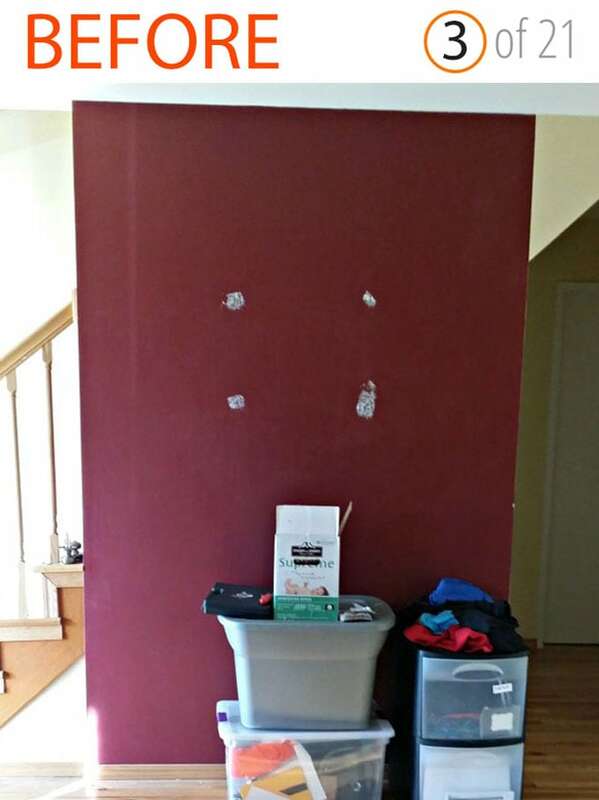 I can’t wait to decorate our entryway in the new house! What a fun post! I love before and afters!!! It’s so amazing to see how it transforms! Wow! 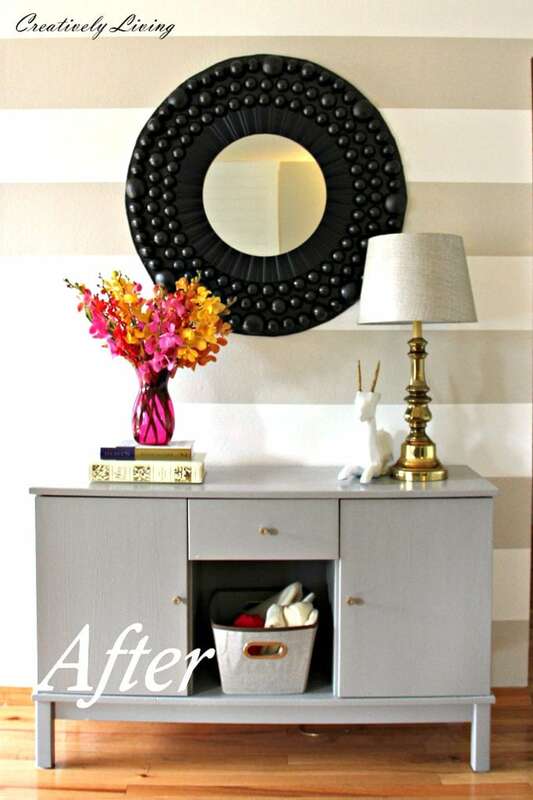 These are fabulous befores and afters! I love entryways but do not actually have a designated one. I think they will be so fun to decorate and create some kind of functionality! What a fun post! I love before and afters!!! 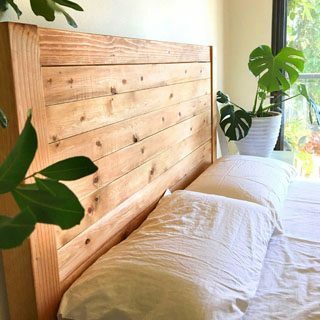 Thank you for sharing these inspirational room ideas!